Regeneration of Oil - ! Equipment for Transformer Oil Reclamation. GlobeCore. Oil Regeneration today has become a very interesting and important subject. Oils can be regenerated in a number of ways by different equipment and to varying degrees of purification. reactivation and preparation of sorbents, including full regeneration of MINERAL oils with color lightening. The following is a brief list of GlobeCore’s equipment for oil regeneration, putificaton and other industrial applications. 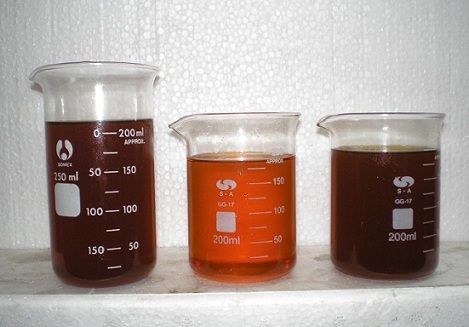 Comprehensive oil restoration units, including heating, nitrogenation, drying and filtration of insulation oils: CMM-3, CMM-4, CMM-5, CMM-5М, CMM-6, CMM 10-10, CMM 10-10В, CMM 10-10Л, CMM 10-10М, CMM-12B, CMM-12B1, CMM-12B2, CMM-12B3, CMM-14B У1, CMM-14B1, CMM-14B2, CMM-10-3, CMM-10-3Е, UDV-2М, PDV-Е and other range. The company has a global dealership network, and the products are supplied to more than 80 countries world wide. Certified explosion protection option is available. Production certified in accordance with ISO 9001 – 2000.